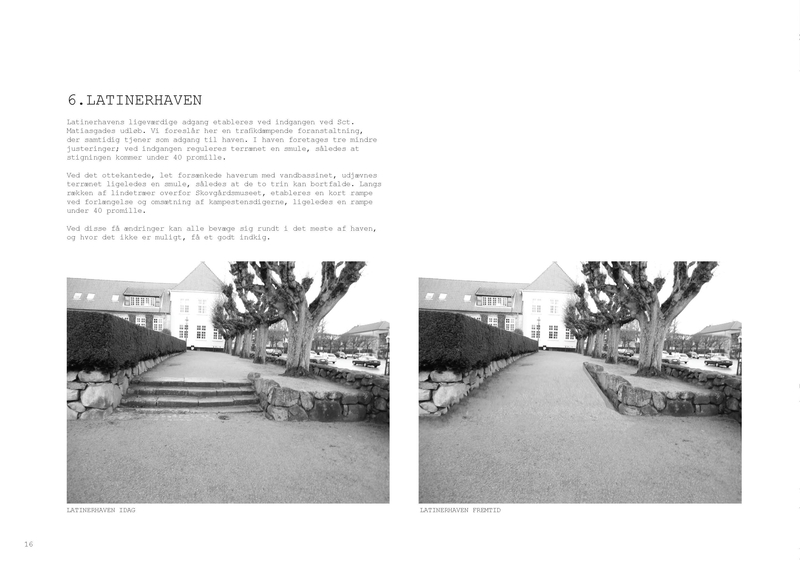 “Accessibility in Historical City Centres – New Ways to make the Cultural Heritage of Viborg accessible to all” was launched in the summer of 2011 as a project competition in two rounds. The winning project, by the architectural firm Schønherr A/S, focuses on ‘accessibility for everyone’. 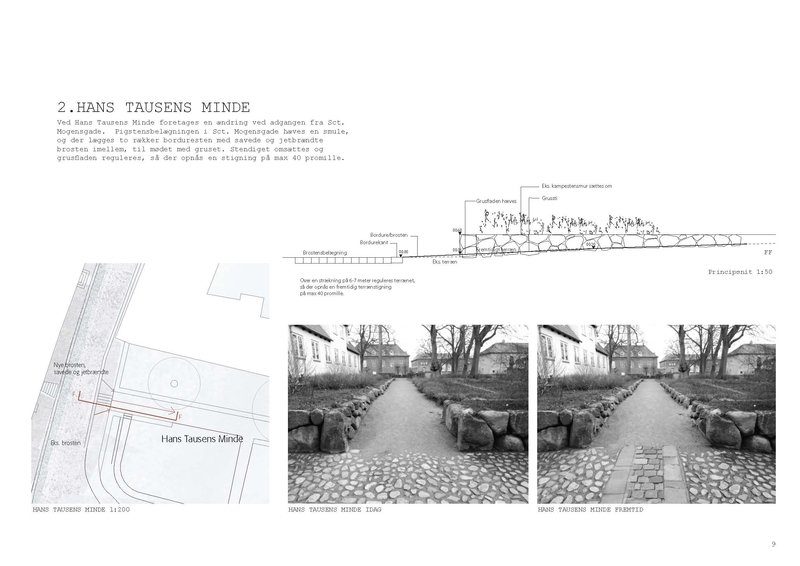 The initiatives are discreet and seamlessly incorporate equal access into the historical framework of Viborg. With its 35,000 inhabitants, the city of Viborg is one of Denmark’s oldest cities, dating back to 900 AD, as well as an important administrative centre. Located in the middle of the Danish region of Jutland, and enthroned on the top of a ridge, the city enjoys a magnificent and varied view of nature and a ribbon of lakes. Traces of its historical past can be seen everywhere. In several streets of the city centre the cobblestones have been preserved and the old buildings are maintained with great care. The most famous sight in town is the Viborg Cathedral, which was built from 1864-1876 as a round-arched Romanesque granite church and is still an impressive feat of construction. It is also an Episcopal residence and the city where kings were crowned. Check out the video interview with Mr Christian Andersen (Realdania) and Ms Signe Marie Rohde (Bygningsarv) describing the process of developing an accessible itinerary in Viborg. Thus Viborg features beauty, authenticity and a unique history, offering at the same time a lively urban life that resembles that of many other Danish cities. 1.3 million people visit the city each year. Tourism is mostly based on one-day visitors coming from the many summer houses in the surrounding area. Thus the commercial city centre and the notable historical buildings attract people from all parts of the region, who rub shoulders with locals going about their everyday life. Unfortunately, this potential is not being fully realised and tourists are not always able to make the most of all Viborg has to offer. Narrow sidewalks, cobblestones and stairways conspire to make it difficult for the elderly and those with physical impairments to make their way around. Thus Viborg is at once both quite special and completely normal, which is why deploying an accessible itinerary in this city will set a great example. The partnership behind the project is formed by four Danish funds (Realdania, the Bevica Foundation, The Labour Market Holiday Fund and the Danish Disability Foundation) together with the local municipality. The objective is to create an accessible itinerary within the historical city centre of Viborg, while at the same time preserving its historical authenticity. A design contest was launched to gather different ideas on accessible itineraries. The main task for the competitors was to show how the experience of the historical city centre could be made accessible to everyone, regardless of physical ability. Additionally, participants were asked to provide suggestions on how to integrate ‘innovative communication’ in the improvements, to help boost the overall accessibility of the city centre. In the first round of the competition, five prequalified interdisciplinary teams – including architects, landscape architects, and accessibility and communication experts – developed and illustrated their ideas for improving the accessibility of the historical city centre. In November 2011, two finalists were chosen to continue to the second round – ‘procurement by direct negotiation’ – and subsequently elaborated and clarified their proposals on the basis of the jury’s remarks. The second round concluded in April 2012, when the winning proposal submitted and headed up by the architectural firm Schønherr A/S was announced. The team behind the winning proposal operates on the basic premise that accessibility must be discreetly established. The jury found that the proposal put forth carefully worked-out solutions that improve accessibility while maintaining great respect for the historical surroundings of the city centre. ► Download the Jury’s reasons for choosing the winning proposal. ►Download the Jury's report describing the two winning proposals of the first round of the competition. ► Download the presentation shown at the Global Forum on Accessible Cities detailing the process of developing an accessible, tourist itinerary in Viborg.